Renaldo Marques of Weymouth Wales (left) keeping Jameil Goodman of Barbados Soccer Academy off the ball in last night's game. The final four in the Stag Beer Champions Cup are now set in stone after the quarterfinals of the annual competition came off this past weekend. 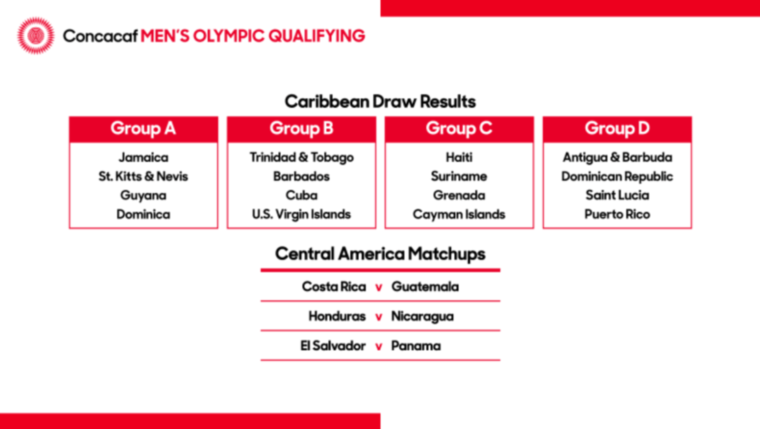 Defending champions Weymouth Wales, the Barbados Defence Force Sports Programme, Paradise and Brittons Hill have all made the cut in the penultimate round of the competition after booking their spots in contrasting fashions. 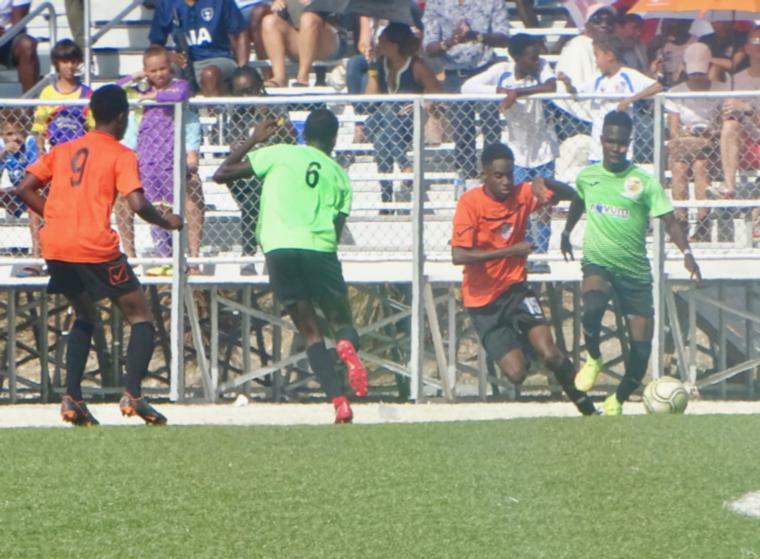 Playing at the Barbados Football Association's Wildey Turf on Saturday, Brittons Hill were first to secure their spot in the next round. 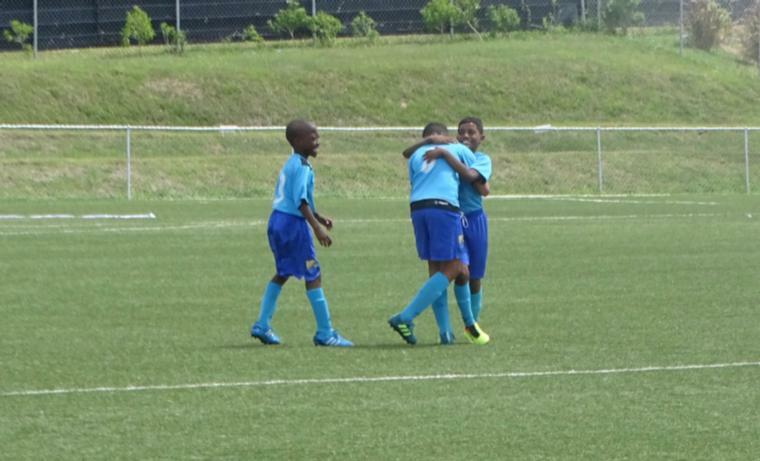 They sent home Division 1's Barbados Defence Force with a three-goal win. With the soldiers advancing from the Round of 16 after dismissing Rendezvous FC, they only managed two consolations after trailing 5-1 at the end of the first half. Elsid Miggins got things started for Brittons Hill in the 4thminute, only to be followed by back-to-back goals from Denzil Fordyce in the 28th and 30th minutes. Norrin Corbin was brought in to replace Fordyce in the 34th and wasted no time picking up where he left off to put two goals past BDF keeper Saheka Duke in the 37th and 42nd minutes. Before the break, Kamal Thompson gave the soldiers one in the 45th to lift their spirits. Going the other way, Brittons Hill seemed to run out of steam and they failed to capitaliseon any of the chances they fought to create. On the other hand, the BDF could only make good on one and Reshan Cox put the ball past Shaquille Frank for their second goal in the 87th. The other game on the night saw the Barbados Defence Force Sports Programme getting the better of Crane and Equipment Ellerton in their knockout match with three unanswered goals. All three goals came in the first half as Ellerton struggled to work their way around the Sports Programme. With tensions flaring throughout the entire matchup, the BDFSP had an early advantage as they had goals in the back of the nets in the 3rd and 4th minutes. 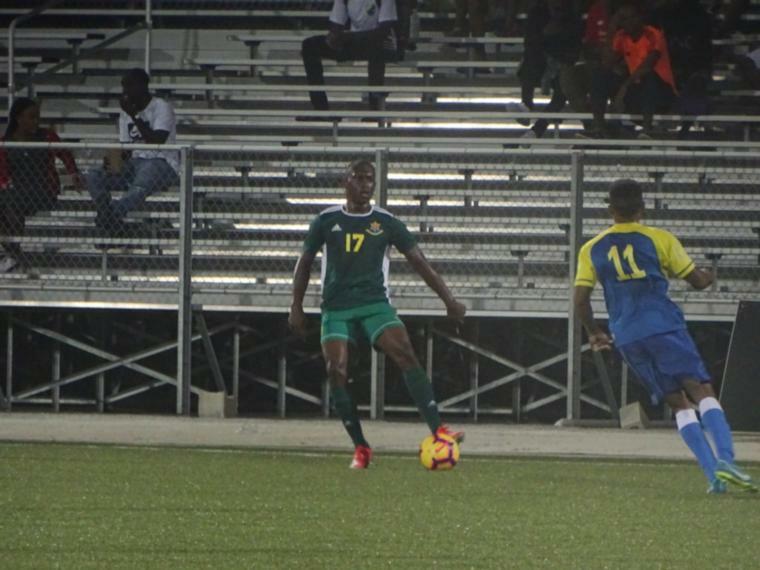 National captain Rashad Jules got the ball rolling before an own-goal, which came off Ian Clarke, saw Ellerton languishing. Kyle Gibson struck the final nail in the coffin in the 31st minute of play. On Sunday, Paradise ran amok over Abrahams United Silver Sands in a Christ Church derby to blaze their way into the semifinal. When the final whistle was blown by referee Andrew Herbert, the score stood at 7-2 as Paradise captain Armando Lashley led the charge with a hat-trick. Paradise got off the mark with a 9th-minute goal from Andre Bourne, while Lashley got his first just two minutes after. 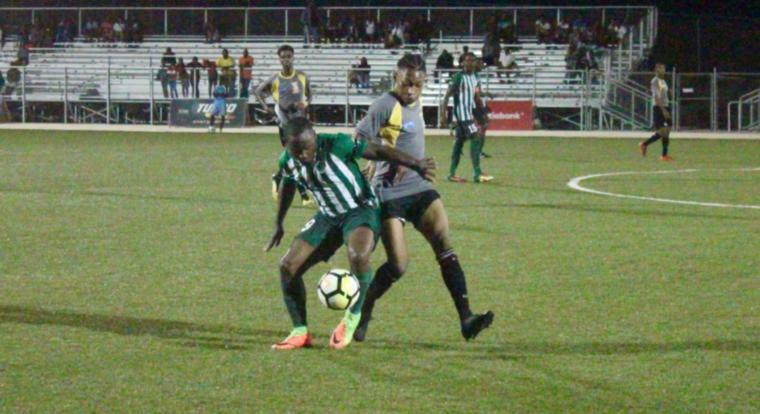 There was a glimmer of hope for Silver Sands as they brought themselves within striking range with a goal from Sylvester Small in the 40th minute. However, Paradise pulled away again in the 43rd as Dario Harewood got his first of two goals. When the halftime break began Silver Sands were two goal behind as Chai Lloyd got his only goal of the game in the 47th. Going the other way, Lashley had back-to-back goals in the 76th and 85th to close out his hat-trick. Silver Sands got their hands on another consolation with a goal in the 90th minute from Demario Ward. However, Harewood would complete his brace in the 92nd to shut things down and ensure Paradise a spot in the next round. 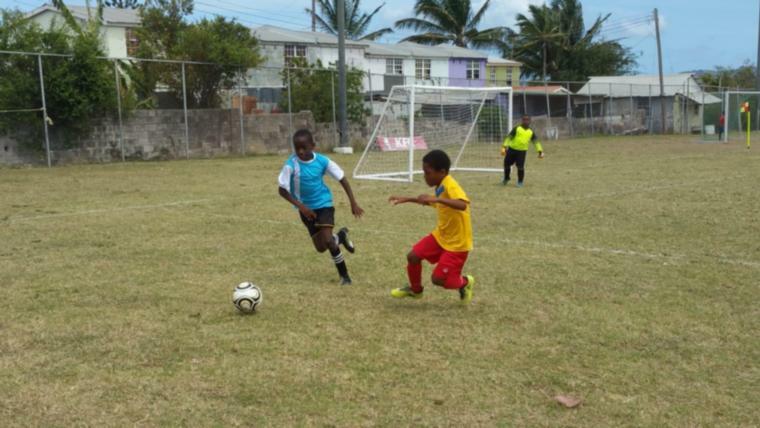 The nightcap saw defending champions Weymouth Wales having to come from behind to get the better of Division 1's RBC Capital Markets Barbados Soccer Academy. Both teams came out swinging in the first half but neither could land a blow before the break. BSA got their breakthrough in the 61st when a hand-ball by former national captain Rashida Williams gave them a penalty. BSA skipper Alvinus Myers made no mistakes with the shot and put it past the second-choice keeper Jerome Blackman. One good turn usually deserves another and Wales got themselves a penalty in the 75th when captain Hadan Holligan went down in the box. Romario Harewood took the shot and easily beat custodian Vino Barclett. Wales, whose persistence is legendary, kept on pushing and it paid off just three minutes after their first goal when Kemar Headley got a cross from the left and was given enough time and space to set up and take the right-booted shot uninterrupted. Although they would try valiantly, BSA failed to make good on any other chances at drawing level again and the game ended at two goals to one. The semis are now set for July 21st at the Wildey Turf and Brittons Hill will face the BDF Sports Programme while Paradise have a date with Wales.